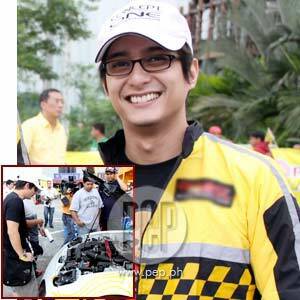 Going up against longtime professional racecar drifters imposes no pressure on actor-host and drifting enthusiast Ryan Agoncillo. "If I don't do good, then it's okay because I'm up against people who've been doing this on a professional level for years," Ryan, who will be competing next year, tells TopGear.com.ph. There's a reason why actor-host Ryan Agoncillo was chosen by a pharmaceutical company to endorse its multi-vitamins brand. The 31-year-old husband of award-winning actress Judy Ann Santos works all week long, appearing daily in the country's longest running noontime show Eat Bulaga! and on weekends in TV5's primetime offering Talentadong Pinoy. He is also seen in the comedy sitcom Lady Dada Wednesday nights. Ryan's routine, however, also includes indulging in various hobbies like photography and his sport of choice, racecar drifting. Web-based encyclopedia Wikipedia defines drifting as a driving technique wherein the "driver intentionally over steers, causing loss of traction in the rear wheels through turns, while maintaining vehicle control and a high exit speed." Ryan has been engaged in the motorsport activity for three years, but it was only late last year when he started to join amateur competitions under the guidance of star drifter Alex Perez. Stepping on the gas pedal is not alien territory for the actor-host, whose past passions include motorcycle racing. The appeal of steering a sports car at high speed though proved irresistible for the De La Salle University graduate. He also enjoys the close-knit environment shared by fellow enthusiasts. It is common to see Ryan and his racecar-drifting friends, along with their wives and partners, get together for dinner and drinks after spending hours speeding around the racetrack. Making the jump from motorcycle racing to car racing is not that complicated since the skills are pretty much the same, he said. "It is also much safer, I think compared to motorcycle driving," Ryan told PEP (Philippine Entertainment Portal). Since fatherhood is just around the corner (Judy Ann is expected to give birth this coming October), he understandably took it upon himself to be extra careful so as not to compromise his safety. "I'm also loaded with work and my priorities, of course, have changed ever since I got married," said Ryan, who is now the lone breadwinner since Juday has taken a leave of absence from showbiz to prepare for motherhood. The passion to drive and compete, however, runs in his veins. In fact, Ryan, along with Yellow Cab Drift Team teammates, Alex Perez and Kevin Tayao, are preparing to compete next year in the Glade Sport Lateral Drift Pro-Am Championship. By the time the racing event begins, Ryan will be a proud dad to son, Juan Luis Agoncillo. Family always comes first, he said, and walking away from the sport won't be a problem, should safety concerns enter the picture. "Judy Ann has been very supportive of my drifting but if she wants me to stop, then that's that. There will be no thinking about it. 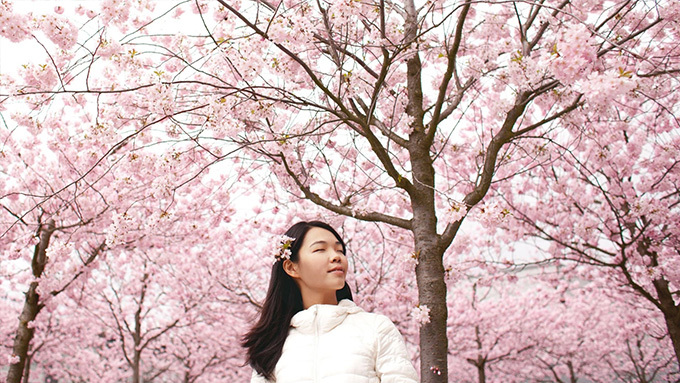 I'll readily drop everything for her and for our baby," he said. "The problem, though, is trying to keep her from drifting because she knows how to do it, and I think she's an even better drifter than I am," added a beaming Ryan.